The Governor of the Central Bank of Nigeria, Godwin Emefiele, has assured that by the end of 2019, about 250,000 millionaires would be created in Kebbi State through farming activities, particularly rice production. 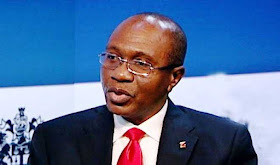 Emefiele during the pre-commissioning of the N10 billion naira WACOT rice mill at Argungu, said with the establishment of the modern rice mill which has the capacity to generate 200,000 metric tonnes annually, farmers in the state will make money from rice farming. “Kebbi already has 88,000 millionaires from rice farming through the Anchor Borrowers programme of the federal government. The state is the largest rice producer in Nigeria and its farmers will continue to make money from their rice production with the presence of the rice mills that are now in the state,” he said. He assured the farmers of the continuous support of the federal and state government through farming programmes such as the Anchor Borrowers that are designed to boost dry season rice and wheat farming in the state. He commended the Emir of Argungu who he said was instrumental to the establishment of the WACOT rice mill in Kebbi State. The Minister of Agriculture, Audu Ogbeh, commended Governor Bagudu for leading the Green Revolution in the country.